If you've spent any time on Instagram recently, you probably know that it's never been cooler to be a plant parent. But filling your home with greenery isn't just aesthetically pleasing. It's an easy way to give our mood, immune system, and overall well-being a boost. That's as true for those of us who live in shoebox apartments as it is for the lucky ones who dwell in a house with a yard. For this reason, plants are the gift that seriously keeps on giving (with a little TLC, of course). A green thumb isn't a requirement, either. Our lineup below includes something for the plant novice, the gardening pro, and everyone in between. Shop it all. Any plant parent in the know follows The Sill on Instagram for some of the best greenspo on social media—particularly for those who live in small, urban spaces. 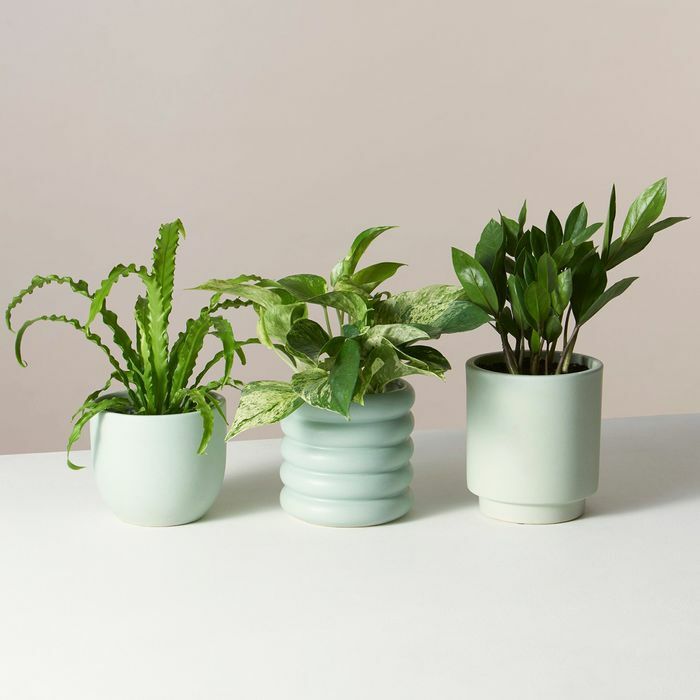 Better yet is the brand's e-commerce selection, which includes monthly plant subscriptions in addition to a gorgeous selection of gardening supplies. The beginner's subscription includes a monthly potted plant, so you can slowly transform your apartment into your very own green oasis. If being more sustainable is on your to-do list for 2019—and we really hope it is—then a composter is a great way to take your earth-friendly habits to the next level. Better yet, recycling your food scraps into fertilizer will help your plants flourish. This model is apartment-friendly and completely odorless. How adorable is this planter? We'll take one for our bedroom and one for our desk, please. Apartment dwellers need not be limited to snake plants and succulents: With the right lighting and a little bit of love, you can grow a sizable herb garden right in your windowsill. These seed bombs make it easy. For the low-maintenance minimalist in your life, this sweet vase was meant to house just a sprig or two. These cheeky pins make for a perfect gift for your plant-loving friend. Those plants won't water themselves, and this mister is pretty enough to display as décor.